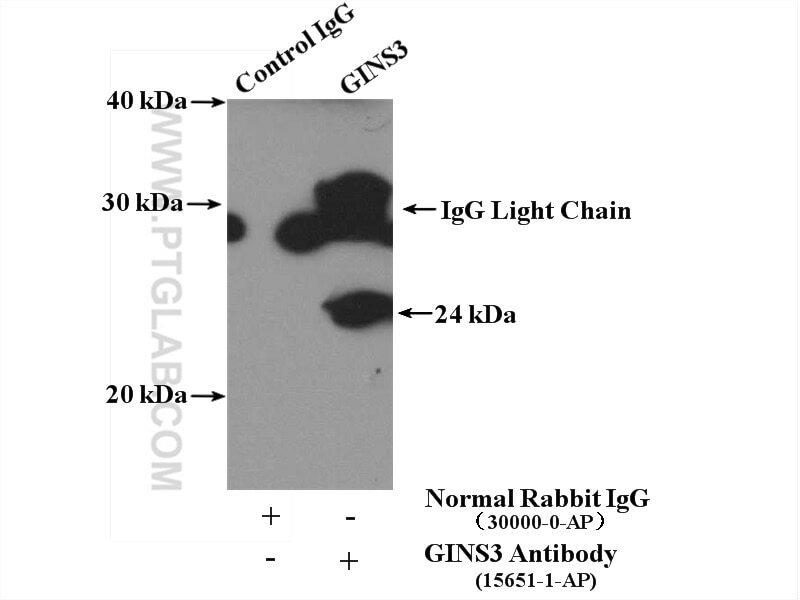 IP Result of anti-GINS3 (IP:15651-1-AP, 4ug; Detection:15651-1-AP 1:300) with Jurkat cells lysate 3400ug. Inherited GINS1 deficiency underlies growth retardation along with neutropenia and NK cell deficiency. Polε Instability Drives Replication Stress, Abnormal Development, and Tumorigenesis.